From force modernization to expanding airport infrastructure, the Bahrain International Airshow (BIAS) attracts motivated buyers from across the Middle East and North Africa (MENA) region searching for high-quality equipment, innovative technology and design, and extraordinary service presented in a highly personalized trade show environment. Established in 2010, and held under the patronage of His Majesty King Hamed bin Isa Al Khalifa, King of the Kingdom of Bahrain, the biennial event is renowned for its world-class facilities and consistently high-level delegations. Conveniently scheduled opposite the odd-year biennial Dubai Airshow, the 2020 edition will present an impressively diverse and dynamic aviation and aerospace marketplace, reflecting the Kingdom’s need to upgrade and modernize its air defenses, accommodate the growing demand for air travel (the airport is growing four-fold) and compete more aggressively as a regional gateway for business (why should Dubai have all the fun?!). Your advantage at BIAS builds on nearly 50 years of bilateral diplomatic, trade and security cooperation between the United States and the Kingdom of Bahrain. With as much as $2 billion in total goods transacted annually and a high-profile deal for 19 F-16 Block 70s back on the table, momentum is in America’s favor heading into the 2020 edition. Kallman’s decades of industry knowledge and long history of producing successful events in the MENA region uniquely position us to help you here. In particular, our influential relationships include direct access to the office of the Bahrain Ministry of Transportation and Telecommunications (with whom we signed to rep the next two editions of the show) and affiliated partners at Farnborough International, AmCham executives, U.S. Embassy staff, Commercial Service counselors, Defense Security Cooperation Agency leadership and the U.S. Aerospace Industries Association. These relationships anchor the USA Partnership Pavilion, which will be the centerpiece of the American presence at BIAS 2020. In addition to full-service exhibitor support before and during the show, the Pavilion will host visiting delegations, special networking events events and focused market sector briefings to bring more of the people you need to know — and who need to know you — to your booth. Dig into the ORI tabs below for details, and stay connected with Kallman for more news, insights and even a few surprises as the show approaches. We'll make sure you make the most of the unique opportunities, relationships and impact benefits of exhibiting in the USA Partnership Pavilion at the Bahrain International Airshow 2020. BIAS 2020 is your link to big business opportunities! Bahrain's own investment in aviation is growing rapidly; from aircraft to training and maintenance to airport infrastructure, the Kingdom embraces the economic advantages of this rapidly growing industry. The Bahrain International Airshow is focused on three core sectors of Aviation; Commercial, Defense and Business/General Aviation. The 2020 show will return with a number of new features that will bring this event to another level. The Middle East is the only region in the world where the wide-body fleet is larger than the single-aisle fleet. This is just one of many reasons why the Middle East is now considered a major aviation hub. is continuing to be an important focus in the Middle East, resulting in increased spending as well as a larger footprint from both local and multi-national companies. With huge advances in military technology and new weapons systems entering the market, visitors to the Bahrain International Airshow can expect to see a significant military presence at the show. Aviation in the Middle East continues to see strong growth with both movements and the number of aircraft registered increasing steadily. The rapidly growing economies of the GCC combined with Bahrain's accelerating BIA expansion are helping to cement business aviation as a cornerstone of the Middle East aerospace industry for years to come. Connecting U.S. suppliers with buyers from around the world is what makes the Pavilion a distinct destination Bahrain is set forth to attract a wide scope of decision-makers, opinion-leaders and influencers around the world. The USA Partnership Pavilion provides the essential business platform and unique opportunity for American exhibitors to meet with industry experts, peers, potential customers and suppliers. Connect with the powerful and prestigious! Bahrain is set forth to attract a wide scope of decision-makers, opinion-leaders and influencers around the world, The USA Partnership Pavilion provides the essential business platform and unique opportunity for American exhibitors to meet with industry experts, peers, customers and prospects. 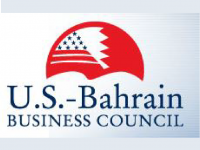 USBBC is the premier business advocacy organization dedicated to strengthening the economic and commercial relationship between the United States and Bahrain. U.S. embassies are committed to supporting U.S. companies to start exporting or grow their exports to Bahrain. The Aerospace Industries Association (AIA), founded in 1919 only a few years after the birth of flight, is the premier trade association representing major aerospace and defense manufacturers and suppliers in the United States. AIA helps you and all levels of your organization get closer to your customers and competitors by providing numerous networking opportunities through meetings, international air shows, and an extensive network of councils, committees, and working groups. At the Dubai Airshow, AIA members participate as exhibitors, association executives attend as advocates and the association also hosts aircrews flying and operating U.S. military aircraft featured in the daily flying displays. Helping businesses drive growth, assess risk and improve efficiency today and in the future, we help you discover everything you need to know about the global fleet of aircraft and world schedules, as well as insight on current and future market dynamics and drivers. Farnborough International Ltd comprises a team of industry professionals focused on delivering world-class business events. 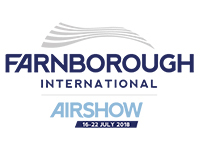 As organiser of the iconic Farnborough International Airshow, the company plans and creates what is the best trade event of its kind for the global aerospace community. 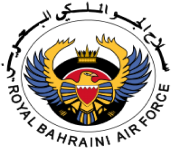 FIL is currently consultant to the Civil Aviation Authority for the Kingdom of Bahrain for the Bahrain International Airshow and adviser to FICCI, organisers of India Aviation. Farnborough International Ltd (FIL) is a subsidiary company of ADS, the trade organisation advancing UK Aerospace, Defence, Security and Space industries. Build on America's advantage in the MENA region. As an exhibitor in the USA Partnership Pavilion at the Bahrain International Airshow, you start the show with an advantage that you can build on. From the design of your stand to the presentation of your brand, Kallman's portfolio of services and impact options will generate more buzz for your business. The USA Partnership Pavilion is a prime location for promoting our nation’s aerospace, defense, and security leadership at Bahrain. Tell us what you need to succeed, and we’ll take care of the details — every step of the way. From building your stand and managing your exhibitor registrations to driving qualified traffic into the aisles so you can meet more buyers, Kallman’s got you covered. Standard: : Bring your products, promotions and people and move right in. Space Only: Get in on the ground floor with this raw space option, and design your dream stand (minimum sqm required, includes all USA Partnership Pavilion (services and amenities). Design/Build: Turn that raw floor space into a showplace! Work with Kallman Creative Services to design and build a standout exhibit from the ground up. Whether your emphasis is on high-end hosting and hospitality or high-volume lead-generation, challenge our team to create the perfect scheme. The centerpiece of our program is the USA Partnership Pavilion Visitors Guide. It's essential reading for international buyers looking for U.S. suppliers, and Kallman distributes hundreds-to-thousands of copies on site at the show. For Bahrain, we'll also post an interactive online directory at kallman.com for worldwide reference. Every exhibitor in the USA Partnership Pavilion receives a free listing in the Guide and a cross-reference in their product or service categories. ​Associate your brand with exclusive, high profile USA Partnership Pavilion features that engage more attendees and VIPs. The U.S. International VIP reception gives sponsors and U.S. exhibitors an opportunity to network with high-ranking U.S. Regional VIPs, senior U.S. Embassy personnel and local business leaders. In coordination with the U.S. Embassy, Kallman Worldwide anticipates a well-attended VIP event. Sponsor the Newsstand and share the spotlight with the show’s best sources. The Newsstand is the on-site information center located at the entrance to the USA Partnership Pavilion, one of the highest traffic areas at the show. The Newsstand features a live, scrolling display of real-time show and market headlines on a centerpiece flat-screen monitor flanked by take-away publications from the industry’s top publishers. Every USA Partnership Pavilion exhibitor is invited to submit show news to be included in the “Ask America” Pavilion Preview press release — at no cost. Use the form here to submit your news now. Kallman Worldwide is committed to your success online, as well as on site, with social media support that extends your Bahrain 2020 outreach and impact. Social media can help you generate buzz, increase brand exposure, and strengthen relationships with buyers, opinion-leaders and influencers.! Whether you’re active on social media or just looking to dip your toe in the water, we offer simple, low-risk support to USA Partnership Pavilion exhibitors. Follow us/like us on Twitter, Facebook, LinkedIn, Instagram and Flickr and let’s grow the conversation together! 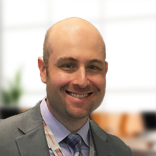 As a member of the Aerospace & Defense team, I have the privilege of operating along side you and my colleagues in dynamic and constantly evolving industries. 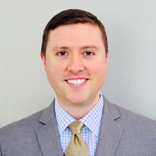 Everyday I look forward to utilizing the skills I've honed, and experiences had in 10 years of sales across three unique industries. It is my intention to develop a deep understanding of your company, ascertain your goals, and help you achieve business success in markets around the world. I will always take your mission personally!